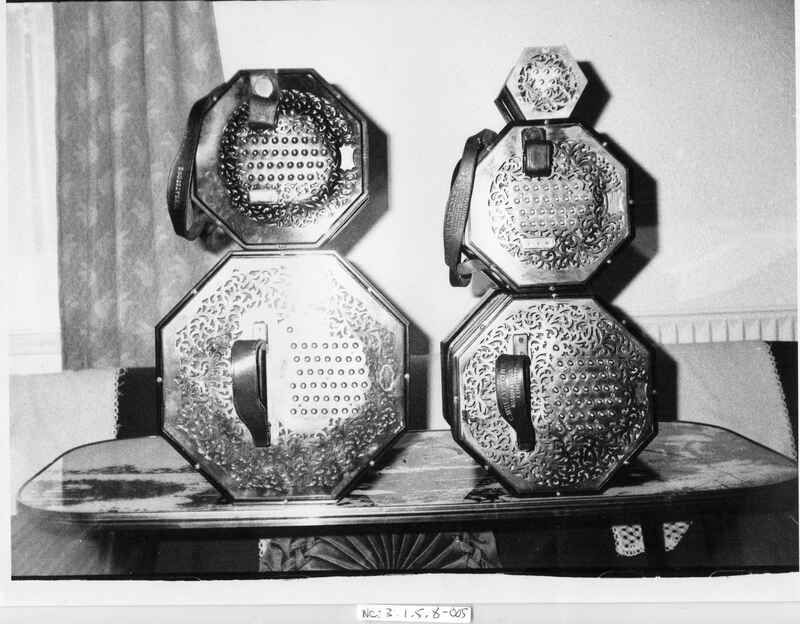 Full Description: Mr Reuben Shaw's collection of concertinas, photographed in 1984, and annotated by him on the rear as follows: "My 56-Key Treble English Wheatstone; My 67-Key McCann Duet - the one I play; W Pearce's 64-key tenor treble tortoiseshell ends. Gold-plated keys. Made for him by Wheatstones in 1926, cost £26; 81 Key McCann duet - I don't use it preferring the 67 key." There is also a 12-Key Wheatstone Miniature in the photograph. 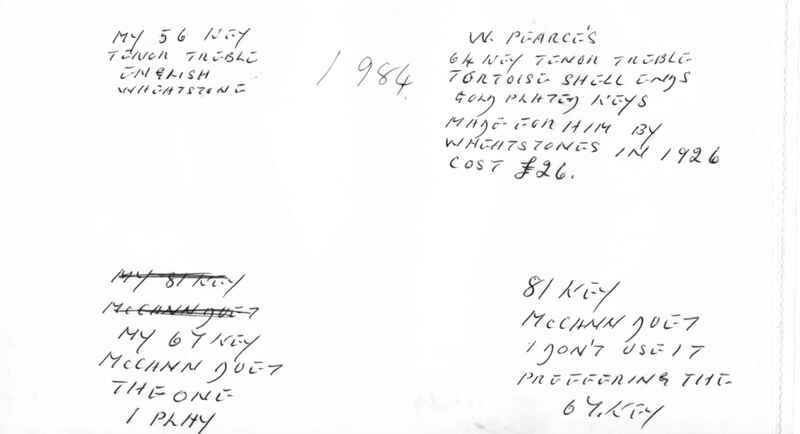 By using Randall Merriss' Site (www.concertina.com/calculator/index.htm) to calculate current (year 2000) costs of concertina purchases, the modern equivalent of the £26 paid by Wilf Pearce for his Tortoiseshell 64-Key equates to £ 3,684.22. A further image of these 5 instruments is at NC.3.1.5.8-006 .